Whenever Google releases any SEO update, search engine optimization experts around the globe wait in fear to see some massive changes in SERPs. 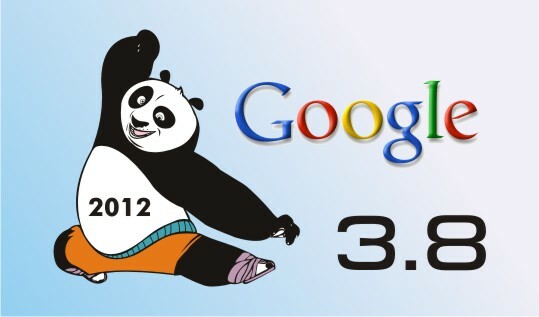 On June 25, Google released a new update named Panda 3.8. They announced the update via their official Twitter account. This search engine giant generally releases updates after every 30-45 days to fight spam content and unethical linking on websites, but it looks like Google will start offering more rapid updates from now on. Top SEO Agency can breath a sigh of relief because Panda 3.8 wont affect the search rankings much. According to the company, it’s a data refresh that will affect only less than 1% queries worldwide. It won’t modify the algorithms and signals. This update will only refresh the data inside the existing algorithm to offer improved search results. If you are not aware of Google’s SEO strategy, let me inform you that Panda is only one of the five hundred SEO updates that they are going to release this year. The web optimization industry will see a massive change in the coming months and they should prepare to face the daunting challenge. Have you noticed any improvements or drops in your SERP ranking after 25 June? Please share your experience with us below.